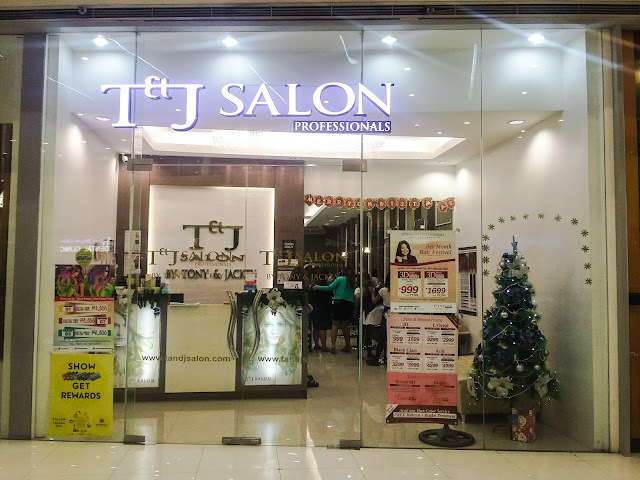 About a month ago, I was invited by T & J Salon SM Masinag to try their treatments and know more about what Acid Perming is. I was actually hesitant to try perming because I have always had a straight hair. 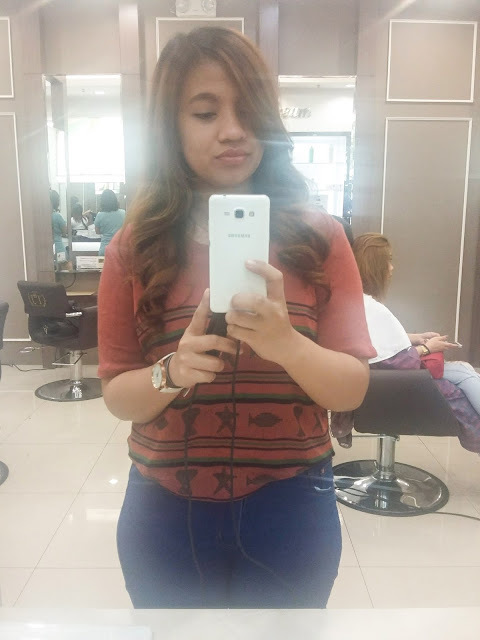 So I just decided to have the Keratin treatment since my hair is totally damaged from my excessive hair coloring and rebonding. 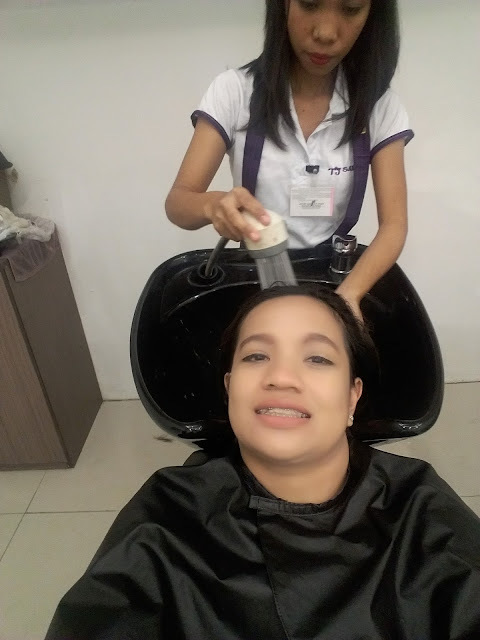 For today, I will be sharing my Keratin treatment experience with T&J Salon SM Masinag. Keratin treatment is a temporary straightening process that transforms unruly, frizzy, and dry hair into shiny, straight, and healthy hair. Using a high temp flat iron, the keratin treatment is infused into hair, sealing the cuticle, and repairing the damage. 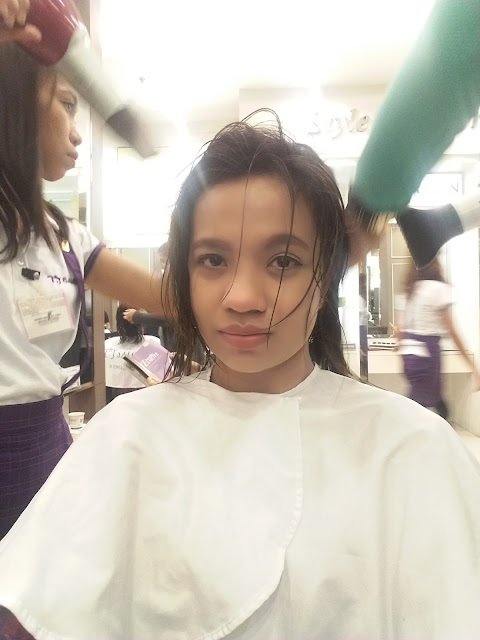 Step 1: The hair stylist shampoos and puts on conditioner to the hair to wash out the oil. Then, the Keratin treatment is added onto the hair. 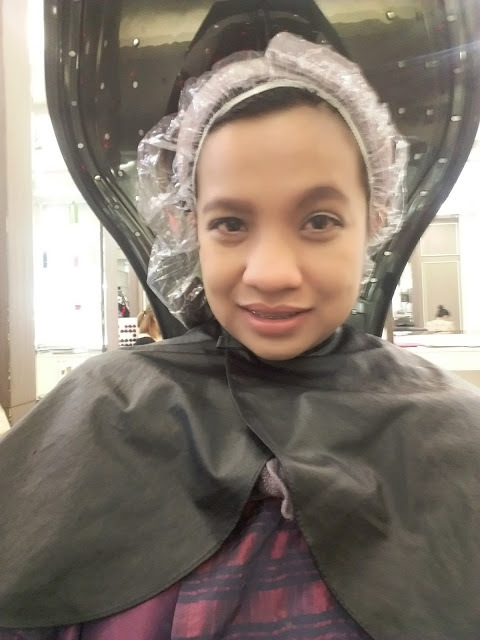 Step 2: Just like hot oil treatment, hair is covered by a shower cap and steamed under the hot oil machine so that the treatment will sit within the roots of the hair. Step 3: After almost 2 hours, it's time to wash the hair! 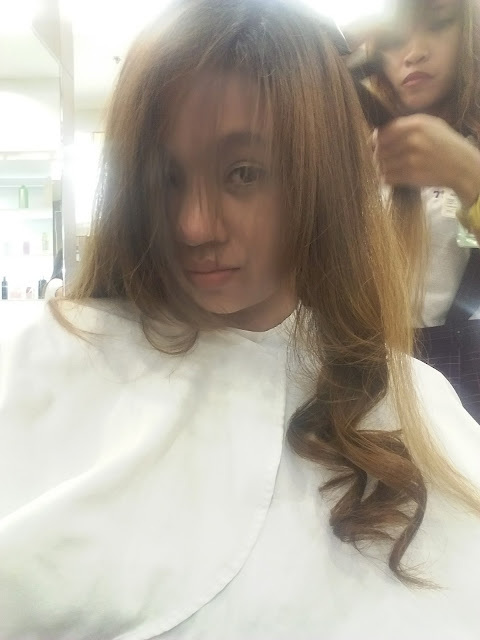 Step 6: Choose whether you want it curled or you want it straight. Here is the end result! I love how my hair was curled! I look like Goldilocks. 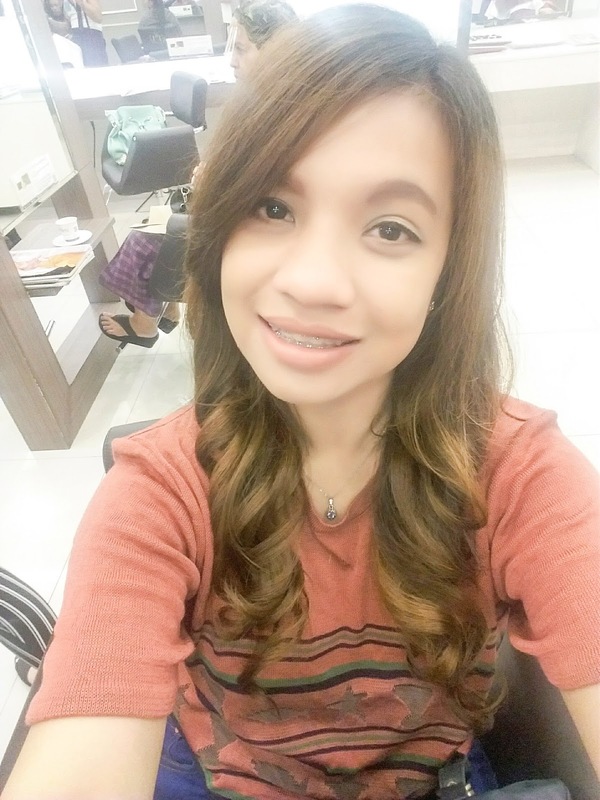 I think Keratin treatment is good to maintain the smoothness of the hair, and to keep it healthy. As for me, I have severely damaged hair and I need to maintain doing Keratin treatments to make my hair look healthy. T&J Salon offers Keratin treatment for Php800.00 for short hairs and prices may vary depending on hair length. 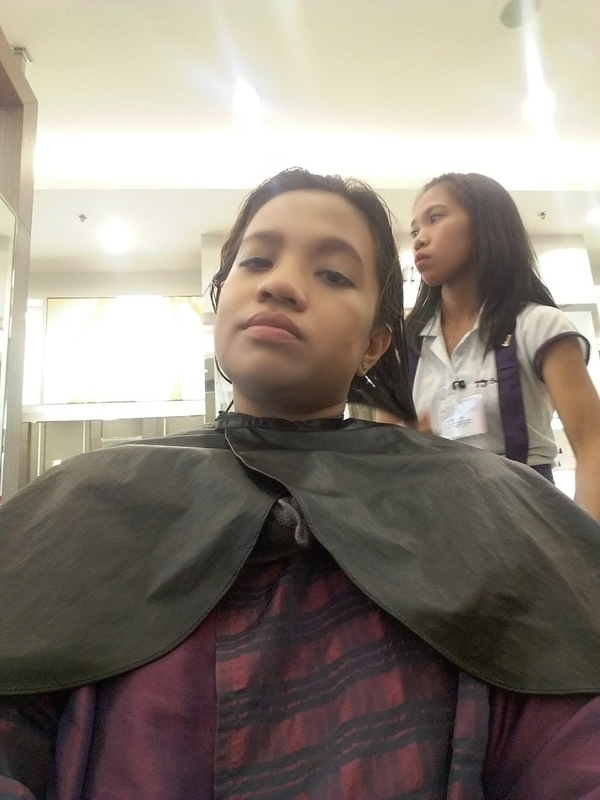 What is Acid Rebond or Perm? Acid waves usually have a pH rating between 4.5 and 7.0 and require heat to speed processing. The main ingredient in an acid perm is glyceryl monothioglycolate. Since hair has a pH of around 5.0 acid waves are less damaging to the hair, require the heat of a dryer usually and typically do not produce as firm as curl as an alkaline wave.  You will want to use acid waves for those individuals with very fine textured hair or those whose hair is damaged or has been processed with other chemical services again. The core of Permanent Treatments of severely damaged hair is the supress swelling with subacid property. For the penetration of major ingredients, most permanent solutions make hair swell with alkaline substance. However, for severely damaged hair with destroyed hair structures, alkaline swelling will lead to disaster. 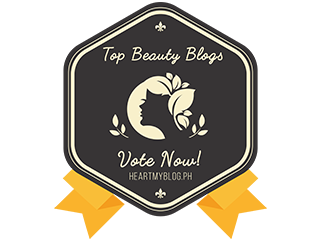 Plant proteins fill in the pores of porous hair to create healthy curls. Plant proteins from beans, wheat, and corn suitably fill in damaged section of hair to satisfy the procedural results, and help the reunion of cysteine in the secondary solution to maintain curls. Contains heat activated proteins for a smooth and bouncy hair. Silicone induced proteins activated by heat devices smoothly covers hair for the satisfaction of bouncy, light hair. Refreshing Treatment process from muffled odor. Rosemary extracts and refreshing lime oil covers the special treatment odor, and aloe vera leaf extract gently care for soft and shiny hair.